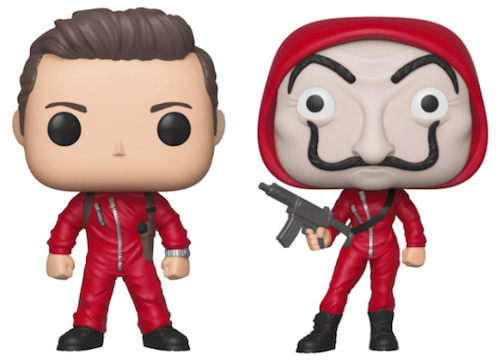 Product Details The Spanish heist series makes its vinyl debut in Funko Pop La Casa De Papel following a move to Netflix. Literally translated as The Paper House, fans and collectors may also know it as Money Heist. 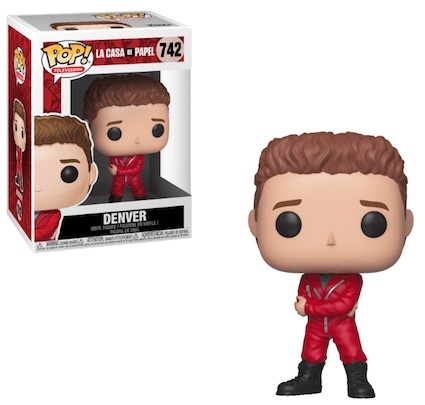 No matter what you call it, the Funko Pop La Casa De Papel line taps into the excitement and drama surrounding the robbery attempt on the Royal Mint of Spain. 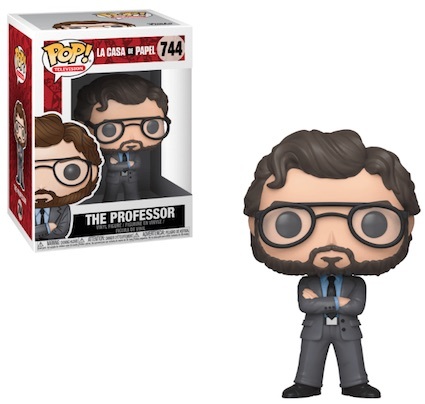 Wearing a suit and glasses, The Professor pulls the strings on the whole endeavor. 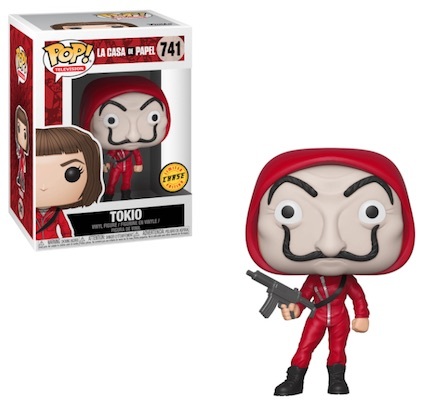 Shop Funko La Casa De Papel Figures on Amazon. The team includes skilled individuals each identified by a city codename. 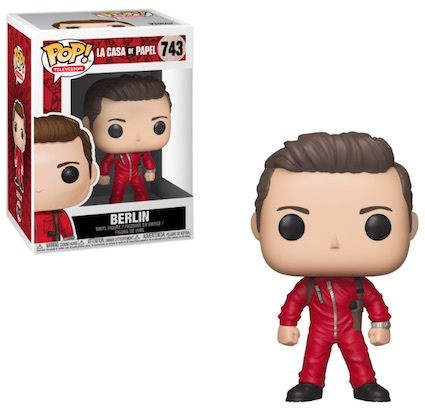 Shown in their red jumpsuits, Funko Pop La Casa De Papel offers Berlin, Denver and Tokyo. 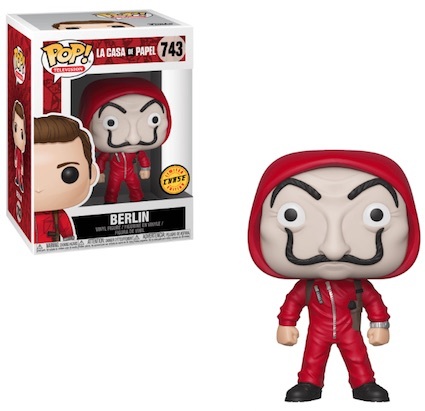 Both Berlin and Tokyo have chase variant figures which switch to Salvador Dali masks. These average 1:6 boxes. While not reflected in the current Money Heist set, additional members include Moscow, Nairobi and Rio. 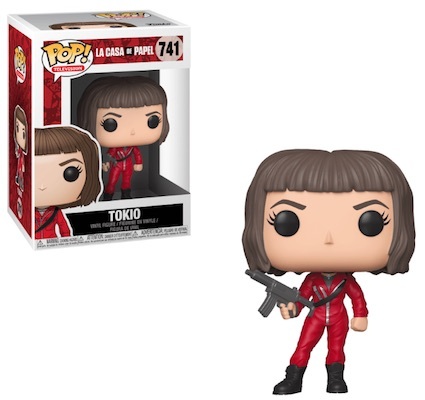 Funko Pop La Casa De Papel is part of the larger Pop! Television release.